Arduino based security bot « Adafruit Industries – Makers, hackers, artists, designers and engineers! I started with the Arduino last Oct or so and wanted to make some cool first projects. I had wanted a security robot for a long time now for when I am away from the house. I know you can buy premade stuff but I wanted to do it from scratch. 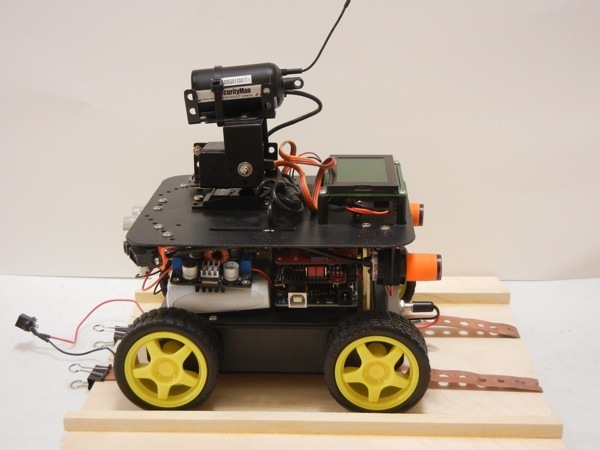 So I created SBot 1 and then wanted one with sensors and pan/tilt camera and so SBot 2 was born.